I have been driving part-time for the ridesharing companies Uber and Lyft since around August 2014. I attempt to drive 12-15 hours per week. Some weeks I don’t work at all. I attempt to bring home around $1000 per month. My reason for driving for Uber and Lyft is pretty simple. 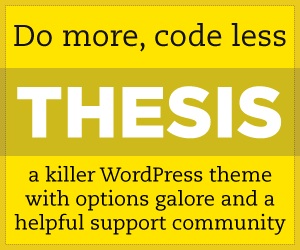 It generates another string of income for me. It also allows me to fund my other entrepreneurial ventures. I also receive another benefit from driving. I get to explore the great city of Austin, Texas and I get to meet the great people who reside there and the many visitors who visit the city. I always get asked by my riders who been doing the ridesharing thing for awhile. Which service do you like driving for Uber or Lyft? I usually don’t have a great answer for them. So I decided to dig a little deeper past the paycheck to see which service is better for the driver. I drive in Austin for Uber and Lyft. I signed up for Lyft first and later signed up to be an UberX driver. This article is based on UberX service only and Lyft which don’t have a feature distinguish between vehicles. For Uber and Lyft you have to pass a background check which go back 7yrs. The minimum age to drive for Uber and Lyft is 21. For Uber and Lyft you drive your own vehicle. Most cities allow vehicles that are 4 doors, year 2000 and newer. With both companies you set your own schedule and get paid weekly. For Lyft you get paid on Wednesday of each week. For Uber you get paid on Thursday of each week. Both companies have direct deposit available. For each company your vehicle have to be a approved. For Lyft you will meet with a mentor driver and they will inspect your vehicle, take a photo of you and answer any questions you may have. For Lyft you will also take your mentor on a test drive so they can monitor your driving habits. For Uber everything is done on online. All documentation is uploaded through the driver portal. For Uber and Lyft you must have full insurance coverage on your vehicle. Uber and Lyft has insurance policy to protect the driver and passenger whenever the Driver is in “driver mode”, which mean when you are signed in through the app in driver mode. Driving for both Uber and Lyft is a good way to supplement your income. 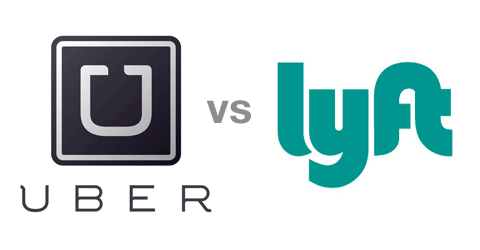 Here are some general comparisons for both services (UberX and Lyft). There is an opportunity to make decent money driving, but there are many other ways to make money. One of the biggest ways is to refer drivers. As of May 2015 Lyft is offering $350 dollars for each new driver you refer. If you are a good enough driver, you may be invited to be a mentor which will boost your weekly income. Driver hourly guarantees in some cities (up to $50 dollars per hour). Must opt-in to receive guarantees. You can earn more money with UberX but beware of the the competition for there are many drivers available in all markets. 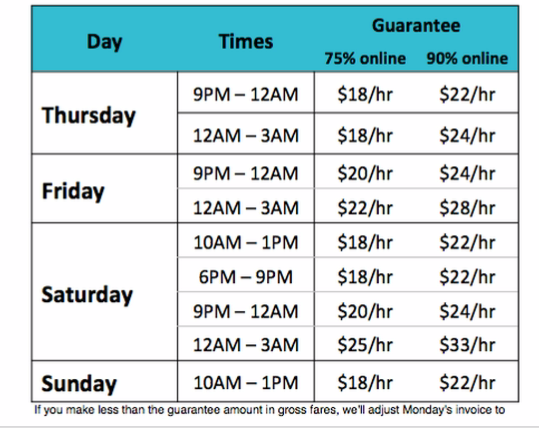 Surge pricing allows you to make more during the surge times. Also with Uber, driver referrals can be a huge source of income. Do Not get a phone from Uber because they will charge you a $10 weekly Uber Phone fee if you drive or don’t drive for the week. Use your own smartphone if possible. Uber support is more responsive than Lyft support in the cities I have driven (Dallas and Austin). Who is best Uber Or Lyft? Drivers will notice less competition with Lyft. Drivers will make more money with Uber if the driver take advantage of the guarantees offered. Drivers will notice some customers are passionate about Uber as a company or Lyft as a company. Some customers are loyal to only Uber or Lyft. Lyft seem to have a better driver culture than Uber. Lyft will hold local meetups for their drivers at establishments around town. Drivers can also join their Lyft Facebook Driver Lounge. As a driver on the street. The driver will not notice to much of a difference. Both Uber and Lyft apps are good. I tend to favor the Lyft app over the Uber app, but that doesn’t defer me from using the Uber app at all. The reason I like the Lyft app more is because it’s more colorful. Both apps are A+ quality. This post was meant to help you choose between Lyft and Uber. If the team atmosphere of Lyft fits your style, sign up to be a driver here for Lyft. If UberX is your thing, sign up here to UberOn. To maximize your earnings of a driver. I recommend to sign up for both Uber and Lyft and use them to make the amount of cash you want to make. For first time riders for Uber and Lyft. Get your free credits (Uber Code = swm4m) (Lyft Code = RONALD762). Just enter the code into the app the first time you take a ride.